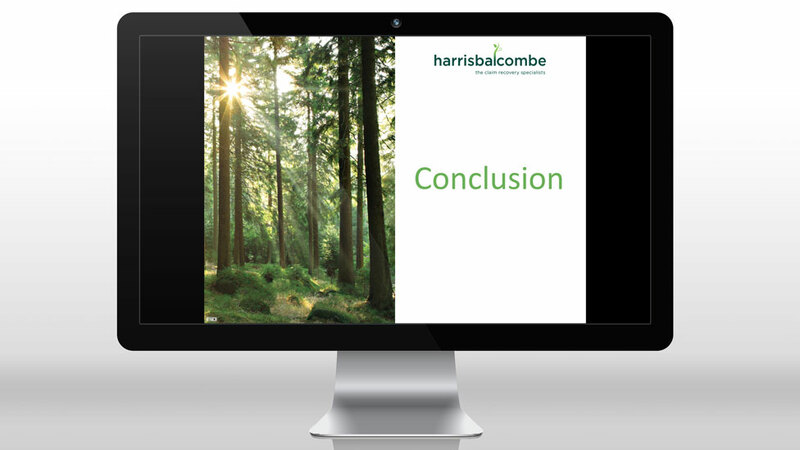 Insurance Loss Assessors Harris Balcombe required a refresh of their PowerPoint design template – the new presentation would need to look professional, inform and engage audiences. It also needed to be easily editable to allow for timely updates depending on business priorities. Our design is rooted in a combination of clear and simple ways of organising content and subtle animation effects conceived to not distract away from the corporate message. The striking imagery, which mirrors the look and feel of the company brochure design, really helps our client create a point of differentiation in their sector. 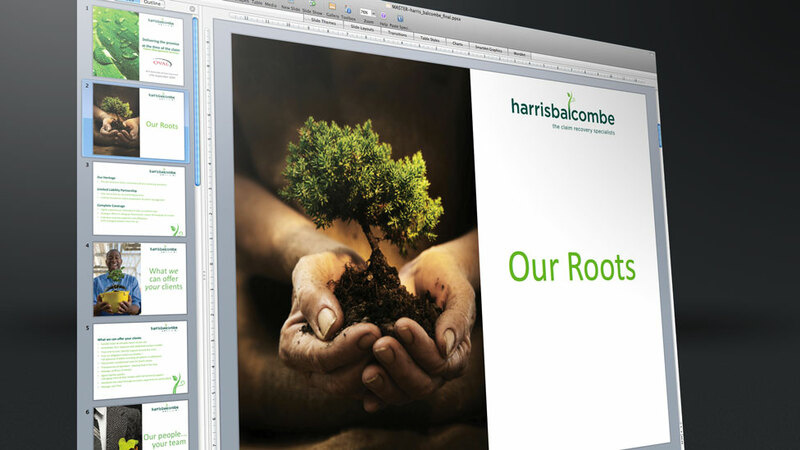 Graphics inspired by the new corporate logo pepper the presentation design template, adding a touch of both freshness and calm to more text-heavy slides. The typography makes use of complementary green tones from the brand colour palette and was set at an optimum size for screen projection.